Promotion is important for any organization in today’s modern world, especially colleges who rely on revenue and donations. However, promotion of one college over another is difficult when so many can make similar claims. Only those with established brand identities can rely on their name alone to bring them attention and growth. Therefore, lesser-known colleges need to become more adept at using other tactics to grow awareness and generate income. One passive way to promote your college brand is through promotional products. These are items that can be given away, raffled off at alumni events, or sold, that further promote your college’s brand and raise awareness. So how can you use promotional products to drive growth of your college? Here are several tips to help you. 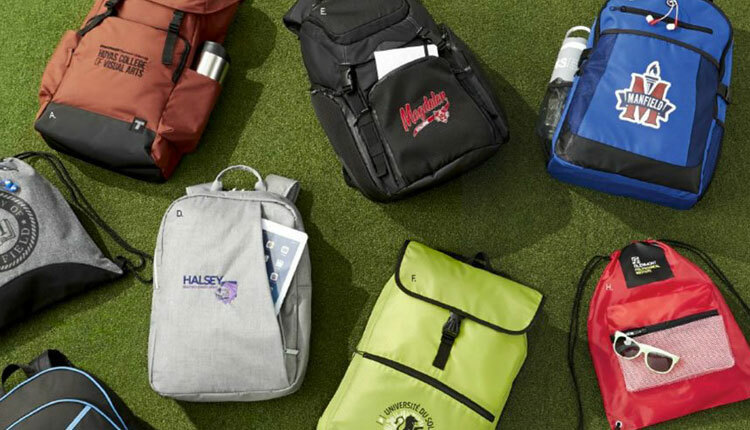 There are several ways you can use promotional products to advertise your college’s brand. One of which is giveaways, another is to brand items for sale. Both of these distribution channels offer their own rewards and can be highly beneficial for your college. Though giving away free items isn’t always good for your brand. For instance, clothing items such as t-shirts or drawstring bags are very popular with students, and they can have your college’s emblem printed on them. College jumpers are very popular and many students keep them long after leaving college, therefore, they are a great long-term promotional product. They can also be sold to students to cover costs and generate some revenue. Other products like pens, badges or small gimmicks can be given away for free at events. When they have your brand printed on them, they can be a long-term reminder of your college to the recipient. They can also be a good way to be introduced as people often ask for pens and other stationary and most people look at the brand on them. Using both of these distribution channels can offer you a large group of people to promote to. You need to promote your college by focusing on the needs of your target audience. College students might need more functional promotional products like portable power banks and USB flash drives while those outside of the college are probably looking for something that is more experience orientated like sweets. So you need to tailor your promotional products to the audience you are attracting at each event. So if it’s an open day for prospective students, you need promotional products that offer functionality. If you are hosting a dinner for donors, local businesses, etc. you need something more aligned with their goals. If you’re stuck for ideas, here are some of the top promotional products people want. Growing means you need a lot of interact with many potential students and donors. In today’s market, it can take between 5 and 12 interactions before someone commits to a brand. That’s a lot of interaction to encourage. With some promotional products, you can’t do anything but hope that the audience is intrigued enough to visit your website. But with some promotional products, you can move audiences to another touch point like social media, your website, or subscribe to a mailing list. A simple QR code could be used on some items, for those with the right phones, to be taken to any page you want on your website. Alternatively, add your social media usernames to items for people to follow your school and encourage them to take pictures of them wearing the school swag. With these techniques, you can encourage interaction that decreases the time it takes to increase school spirit which results into more students and alumni donors. You probably have a lot of staff on your campus and each one of them can increase the awareness of your college by using the promotional products themselves. Pens, sweatshirts, laptop bags are great items for staff and are highly visible, and staff using them gives you two key benefits. Firstly, some students will want the products themselves, which increases the number in circulation and improves your reach. Secondly, everyone they meet outside of the college sees your brand. With a little bit of coaching, staff can also become advocates for your college and can direct those they meet to the next step in your sales process. Growing your college brand isn’t going to be easy. There’s a lot of competition and the number of interactions you need can seem daunting. But with the right promotional products, utilized correctly, you can easily grow your college. What promotional products does your college need? What is your favorite promotional product? iPromo offers guaranteed lowest pricing and we would be happy to send you a free custom quote and virtual logo preview. Just Live Chat with us or feel free to give one of our promo experts a call at (888) 994-7766.